Guest blogger Margaret Callow tells the lessons you must learn, and then unlearn. What I know of the craft we call writing has been sourced to me by learning along the way. I’ve gathered up suggestions, advice and knowledge. Add to these copious reading. It seems there is not a writer around who is not willing to guide another, often based on their own ideas and assumptions. It is a support system I think most writers cherish. I know I do. On the road to getting published, prospective friends are met, some only to be discarded. Others are kept and nurtured, like all good friendships. While always grateful for input and help from others, for me this is also a cautionary tale. Learning can be confusing. I offer you some simple examples. Beware of too many adjectives and adverbs; distance yourself from had and the; be warned of purple prose; never info dump; be wary of prefaces. No matter the genre, it all applies. If like me, you are a willing learner, all of this will be assimilated eagerly like food for a hungry chick in a nest, but here’s my dilemma: be ready to throw it out the window at a moment’s notice. There will probably be many experienced writers who on reading this will nod knowingly, but I am sure there are some less confident who like me have had quite a rude awakening. Or is it only me? Surely not. 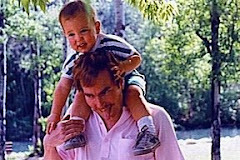 When my first novel was picked up with an offer to publish, I spent many a weary hour with the editor writing back in all the missing hads, extending description, adding adjectives and adverbs which I had so carefully avoided, and numerous other small adjustments which I had considered no-no's. Please don't take this as any form of criticism of the editor, far from it. So grateful was I that she liked my work, I would have gladly written these things in my own blood, had she asked. So for any would-be writers out there, just remember nothing is written in stone. Personal preferences often play a part in editing. Hopefully, just as you know the story you wish to tell, so your editor knows all about editing. Learning never stops, that I do know. Last autumn, I signed a contract with Holland House Books. They are interested in my three early Medieval rebellions and a novel which is based on a true Norfolk story, about the last man to hang as a public spectacle at Norwich Castle in 1849. Working with H.H. editing is almost done and once again, I have absorbed a lot of new information. I hope this work will be published sometime this year. It is only a working title at the moment, but when there is a link, you can be sure you will see it somewhere! 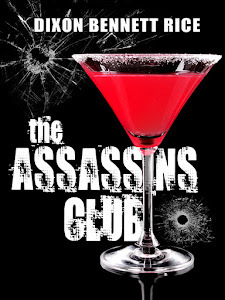 Guest blogger Christine Columbus on writing the perfect C&W story. Well, I was drunk the day my Mom got outta prison. And I went to pick her up in the rain. But before I could get to the station in my pickup truck, she got runned over by a damned old train. Cinderella with a twist - instead of a prince with a glass slipper, we have the heroine Alexandra with Stetson hat, and all she needs is a cowboy. But with three days and over 50,000 faces to search at the Midwest's largest country music concert, will she be able to find the man who stole her heart? Ben still can’t believe he was foolish enough to let the beautiful thief walk away with his autographed cowboy hat. If the heartbreaker dares to show up at Country Time again this year, he’ll not only be looking to get his hat back, but aiming for a little payback as well. Of course, included in the story will be mama, trains, trucks, prison and getting drunk along with romance. I grew up in a home where Mom rocked the babies to sleep singing, "...had me a drink about an hour ago and it went straight to my head..." For the longest time I thought she was singing a lullaby. Turns out she was singing an all-time perfect country song, and plotting my future novel. Dixon says: People often ask writers, "Where do you get your ideas?" This is a good example of how a creative person can turn a song, or a poem, or a newspaper headline into a book. 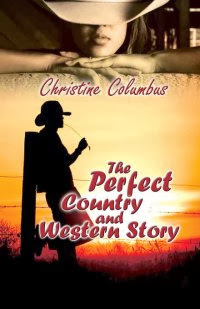 Check out www.ChristineColumbus.net to learn more about Romance writer Christine Columbus (yes, that’s her real name) and her perfect book. Guest blogger M.L. Hamilton wonders whether the Olympics should give a medal for last place. Recently, I applied for an academy to study Shakespeare in London. I made it through the first round and was asked to come in for an interview. I didn’t feel nervous as I walked into the interview and met the four people who were conducting it. They explained what the requirements were and told me they would be asking me four interview questions. The first question threw me. I blanked and once I blanked, the rest of the interview went rapidly downhill like a luge run. Mostly what I remember is babbling. I’m one of those people who babbles when I get rattled as if I think that the more I talk the more I might work myself into something that makes sense. At that moment, I had an out-of-body experience, where I could see myself sitting at the head of the table, talking like a madwoman, wondering why I just didn’t shut up. Oh, for the love of humanity, just shut up. I remember I said Hamlet a lot. Now don’t get me wrong. Hamlet is my favorite Shakespearean play, but the way I went on about him, you’d think I wanted to marry the guy. So, what was the question that rattled me so? The first interviewer asked me how teaching Shakespeare related to my students’ acquisition of the Common Core. For those of you not in academia, the Common Core is the national standards for each subject area in American public school classrooms. Why did this throw me? After all, I’ve been told that I need to embrace the Common Core, that I need to know it, inside and out, and I think I have a pretty good handle on it. It isn’t that different from what we’ve had as standards for years. What I couldn’t articulate at the time was the idea that I had to justify teaching Shakespeare. That a number and a purpose statement were required to expose my students to one of the most enduring poets of any age. If I had been quicker, if I had been more centered, I would have articulated this. I would have articulated that we study Shakespeare not because he trips some arbitrary construct politicians and academics created in an office space somewhere. We study Shakespeare because he shows us a mirror to ourselves, he shows us universal truths about humanity that transcend time and culture. We study Shakespeare because he is art. But I said none of this. I stumbled ungracefully through the interview and left feeling defeated. So, what’s the take away? As humans, we laud our successes and we should. Success should be commended, it should be celebrated. But perhaps it is our failures that are more important. Our failures give us a chance to reflect, to have clarity, to truly learn who we are as people. Like art and music and poetry, failure is what makes us human. M.L. Hamilton has taught high school English and Journalism for over 20 years, and saw her first novel, Emerald, published in 2010. She’s been a busy lady since then, with three more books in the World of Samar series, and about a half-dozen Peyton Brooks’ mysteries. 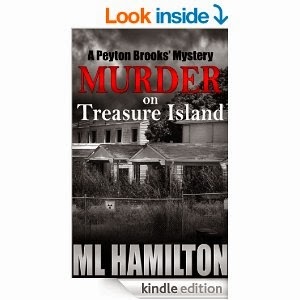 The latest is Murder on Treasure Island, and the Amazon Kindle link is here. Well, sometimes we want them…maybe. The easy part of writing is the creative, free-flowing draft work. After that comes editing. I’m in the throes of that for my second novel. Thanks to Dixon’s request for a guest blog, I can take a break. But then I find myself perseverating about the infernal editing. Let’s start with the tricksters of punctuation, hyphens. You think you’ve cornered them. A two-word adjective before the noun it modifies will be hyphenated, right? But then, the rule wriggles out and throws an exception at you. Think of storytelling bards. My husband found me a book by Mary Louise Gilman, One Word, Two Words, Hyphenate? Gilman’s book is mostly wordlists, but helpful ones. The Chicago Manual of Style is also essential, as are dictionaries. When all else fails, see whether Internet writers hyphenate a word. Almost as tough as hyphens are members of the colon family. Believe it or not, punctuation has trends. The semicolon, so necessary and popular with long-winded eighteenth and nineteenth century authors, seems to have fallen out of favor, especially in dialogue. I see those lowly drones of punctuation, commas, now separating long phrases that semicolons would have divided in the past. The ground explanation of what semicolons are for, one I still like, is that a semicolon is halfway between the full stop of a period and the California stop of a comma. Colons were once used to introduce lists of cumbersome phrases or clauses. Colons are now in disfavor with many groups: critique groups, editors, teenagers. You see what I mean. Some punctuation is unpopular, but necessary. Modern philistines don’t care about apostrophes. Don’t the people who put up billboards ever look at what they’re doing? My favorite is the sign with big eyes that says, “If your looking at this, its selling.” The rule is that the apostrophe goes in place of the missing letter in a contraction, and outside plural possessives, but just before the s in singular possessive, except for (here’s the inevitable exception) its. Besides punctuation, there’s the matter of spelling. It’s been said before, but I’ll repeat it. Use the spell checker with caution. It might not understand which word you meant of two or more spelled correctly, as in rest and wrest. As for capitalization, we all know about proper nouns, but then there are those pesky points of the compass. I have a block about this, so routinely visit section 8.45-46 of the Chicago Manual of Style to read again, “Compass points and terms derived from them are lowercased if they simply indicate direction or location.” Then come the exceptions, including the North and the South. There’s plenty more to watch out for when you want perfectly clean copy. I’ve been advised to read from the bottom, read out loud, or give it to somebody else, but a few mistakes might still creep in. I speak from personal experience after editing my thriller, Remarkable Silence, for the second time. Bibliographies are a whole different headache. Clean copy sells better, and it makes an author proud. Exhausted, but proud. Dixon says: Karen Wills is a former critique partner of mine, and just an all-around nice person. 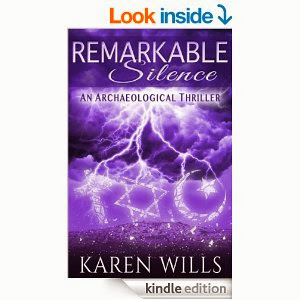 You can find her archeological thriller, Remarkable Silence, on Amazon Kindle here. I will also echo her advice that Spell Check doesn't always help. Especially if you write about cereal killers.